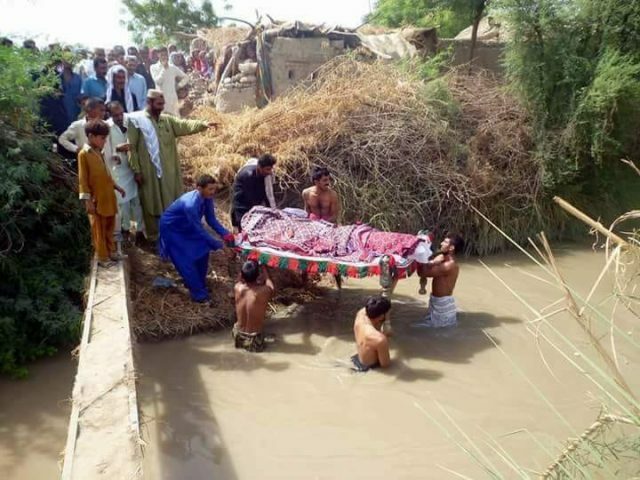 A village near Garhi Khuda Bux, where the tombs of the Bhutto family are located, has no infrastructure, not even a bridge on which to transport the dead. The villagers in Humair Shar Village, which is near Larkana, have no bridge, just a narrow plank over a canal. The makeshift bridge is far too narrow for four men to walk on to walk on at once with a charpoy. In order to transport their dead, they must climb into the canal and carry the charpoy with the body on it across. The area has been ruled by the Pakistan Peoples Party for years but does not have many facilities. 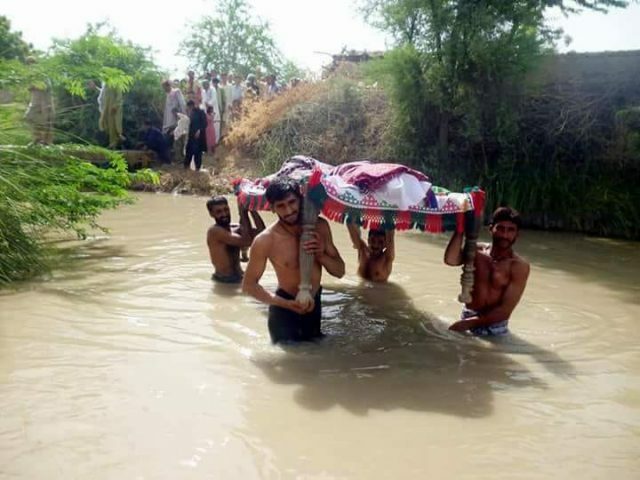 A resident of the village said that they have to carry their dead to the graveyard in this dangerous manner because there is no alternative.